Magmatic arcs exert a primary influence on crustal growth, volcanic outgassing, and plate tectonics. Understanding the geodynamics of these complex systems is therefore key to deciphering both short- and long-term secular geochemical evolution of Earth. I combine large-scale zircon U-Pb geochronology and geochemistry (trace-elements and Hf isotopes) datasets with detailed field mapping and petrologic analysis to characterize the geodynamic cylclicicity preserved in magmatic arcs and accretionary orogens. 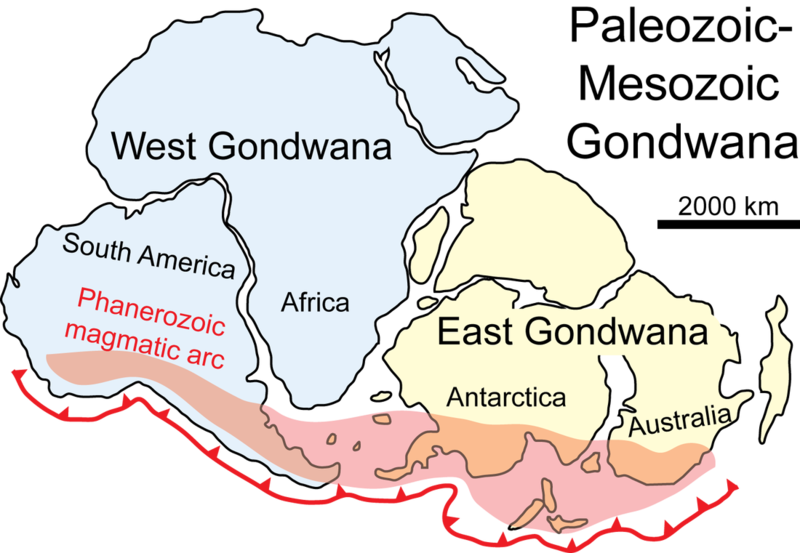 Most recently I have focused on the Phanerozoic portion of the paleo-Pacific margin of Gondwana. Water concentration and speciation maps for volcanic glasses from Antarctica. Magmas undergo dramatic processes from source to surface through a complex plumbing system. Here I perform detailed geochemical and textural analysis of magmatic and volcanic rocks to track both primary (e.g., crustal assimilation) and secondary (e.g., glass hydration) processes affecting igneous systems. During the late Cenozoic the western margin of the North America plate collided with the East Pacific Rise and, in doing so, induced mantle upwelling between a decoupled subducting slab or “slab-window”. Here we conduct campaign-style sampling of slab-window related igneous rocks and apply geochronologic and geochemical techniques in an attempt to determine the spatial, temporal, and chemical evolution of slab-windows. Layered intrusions are the world's primary host of platinum-group elements (PGEs). These PGEs are thought to be concentrated in sulfides associated with chromitite horizons in these intrusions. This work investigates the relationship between PGEs, sulfides, and chromite within chromitite seams from four different sized and aged layered intrusions: Bushveld, South Africa; Stillwater, Montana; Muskox, Canada; and Rum, Scotland. This ongoing project involves petrography, EPMA, and LA-ICP-MS.